This Volkswagen Golf MK4 features a white on white on white color combo. 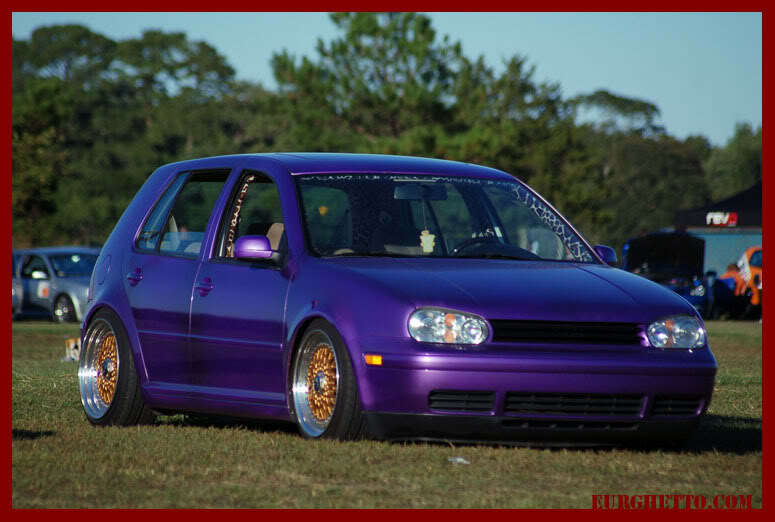 I wonder what it would look like with white interior and white rocker panels. Never thought the BBS RS wheels would look so clean in all white, downside is that is must be hard to keep all the spokes clean! 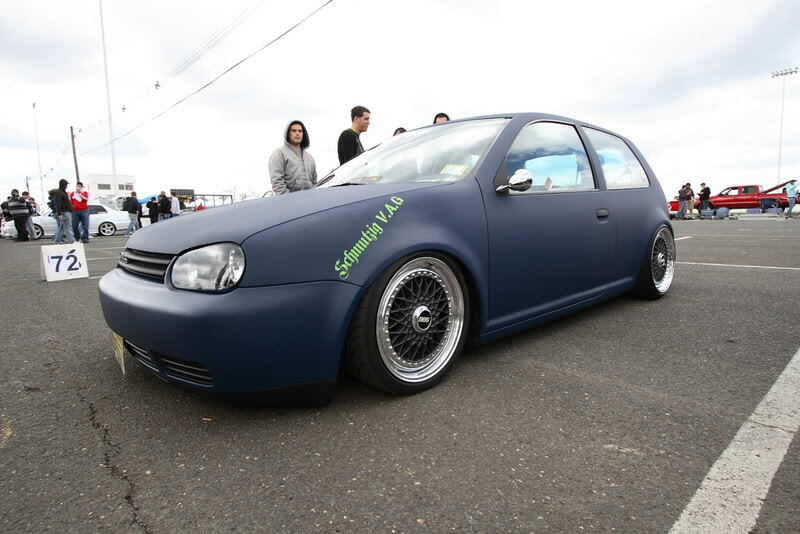 This flat blue Volkswagen Golf MK4 sits low on Black BBS RS wheels and features a shaved and smoothed body.